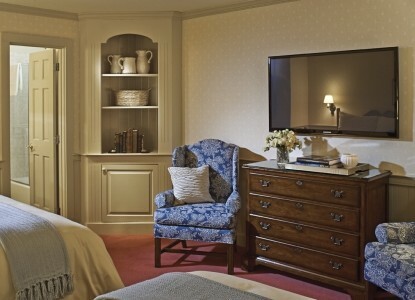 Welcoming guests to Stowe, Vermont, since 1833, the beautifully restored Green Mountain Inn offers the perfect blend of modern comfort and classic elegance in over 100 unique guest rooms, luxury suites and village townhouses. 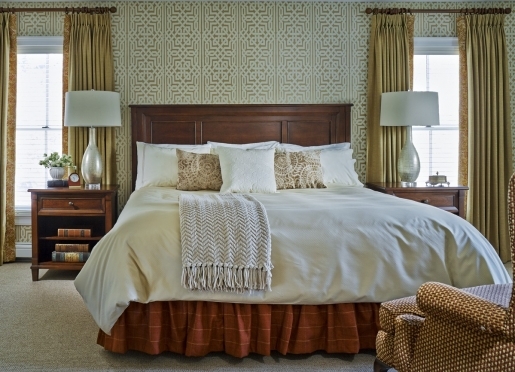 Many accommodations feature fireside Jacuzzis, handcrafted canopy beds, crisp, luxurious 300 Count Egyptian Cotton Bedding and other exquisite touches. 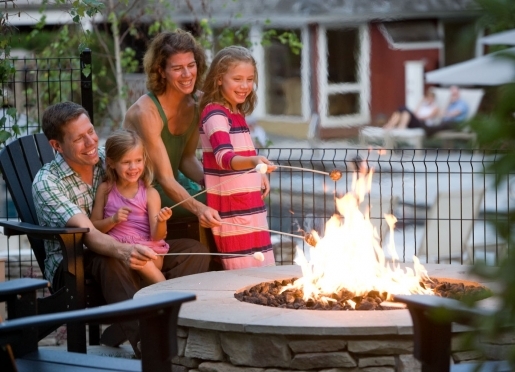 Children of all ages are welcome, and the Inn boasts many superb lodging options for families. Guests enjoy many on-site amenities, such as two acclaimed restaurants, specialty shops, a year-round heated outdoor pool, game room, complimentary afternoon tea and cookies, and use of a fully-equipped health club offering aerobic exercise equipment, weight stations and free weights, sauna and a large Jacuzzi. Several fantastic massage treatments are offered in our beautifully refurbished massage rooms, including Swedish Deep Tissue, Relaxation, Aromatherapy, Reflexology and Sports Massages. The Inn also specializes in hosting corporate retreats, meetings, weddings, "escape" ceremonies and events of all kinds! Lodging packages are offered for every season - including Romance, Wedding Ceremony, Ski & Stay, Spa, Foliage, Thanksgiving, and Christmas Holiday. 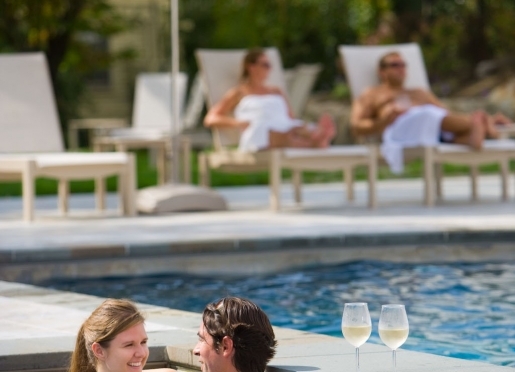 Whether you are seeking an active holiday, romantic getaway, family vacation or pure rest and relaxation - the Green Mountain Inn and Stowe is your perfect choice. We hope to welcome you soon! It could be the most important day of your life. And at the Green Mountain Inn, we are dedicated to making it the best. 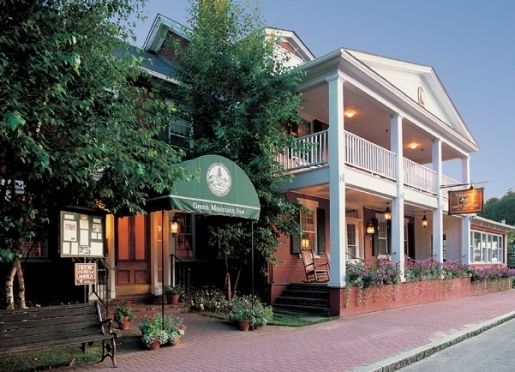 Welcoming guests since 1833, the Green Mountain Inn has helped make history for countless generations of families. Getting married in Vermont is a lovely affair - the mood is enhanced by the gorgeous landscape. Many choose to plan their Vermont honeymoon with us as well - it's no surprise - our VT weddings and accommodations for your event at the Inn offer the quintessential Vermont experience. To view our perfect location and attention to detail, visit our online wedding album. The Inn is ideally located in the heart of classic Stowe Village, within walking distance to the Stowe Community Church (a popular option for ceremonies). If you need a Vermont marriage license, the Stowe Town Clerk is just across the street. Stowe, Vermont weddings and celebrations, receptions, rehearsal dinners and civil union ceremonies special events of all types - are beautifully orchestrated with the assistance of our professional staff. Private events from two to 120, accommodations in 107 unique guest rooms, luxury suites and village townhouses (perfect for your "weekend wedding celebration") and inviting resort amenities are offered to add to your guest's experience. We believe that no two people or celebrations are alike personal service is our trademark. Meeting your Vermont weddings needs and exceeding your expectations is our goal. 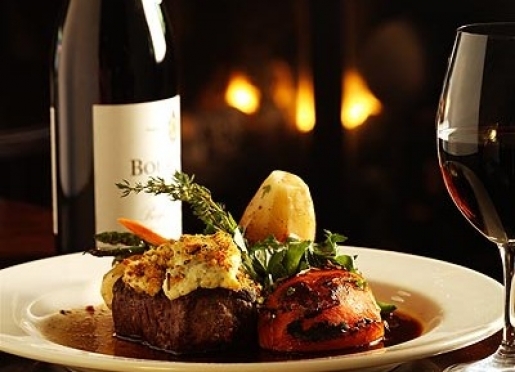 Dining at the Inn's two restaurants is always a special experience. There's no better way to start your day than with our bountiful country breakfast buffet in the Main Street Dining Room. 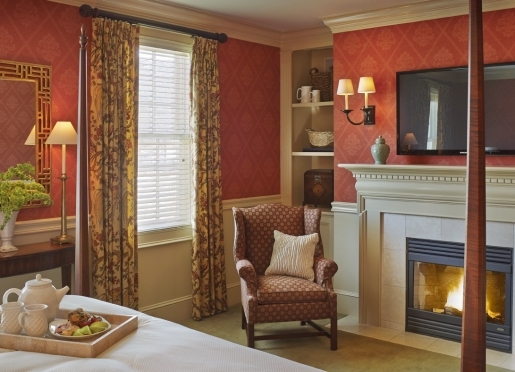 In the warmth of this gracious, colonial room you can relax and view through broad, latticed windows the many activities on Main Street. Sumptuous continental and hot breakfast buffets are offered, featuring an extensive selection of the Inn's renowned fresh baked bread, pastries, muffins and granola. Boasting Stowe's first liquor license, an impressive collection of antique buggy whips, a brass dumbwaiter, cozy fireplace and inviting patio (open in warmer months), the Whip Bar & Grill has a long history as Stowe's most popular gathering place. We take pride in providing excellent food at a good value in a warm and friendly atmosphere. Choose from a wonderful selection of creative nightly specials, fresh seafood entrees, hand-cut steaks, pasta, vegetarian and light fare. The Inn's soups and desserts are made fresh daily, and a children's menu is available. In addition, the Whip Bar offers an outstanding selection of Vermont micro-brews, wines by the glass or bottle and seasonal drink specials. The Whip offers casual dining for lunch and dinner daily. An a la carte Sunday Brunch menu is available. 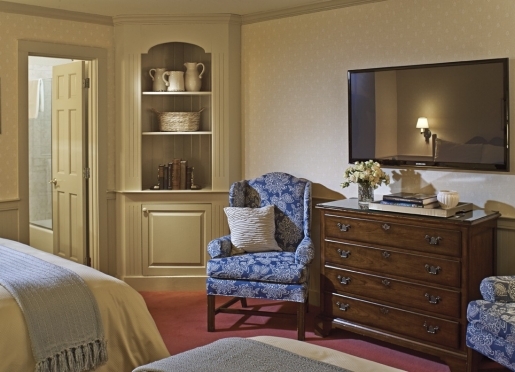 The Green Mountain Inn is ideally situated in the heart of historic Stowe Village - offering guests the true flavor of classic New England. Just outside our door are unique shops, galleries, restaurants, historic buildings and the award-winning Stowe Recreation Path (ideal for walking, biking, rollerblading, cross-country skiing and snowshoeing). The Inn is located next to the Vermont Ski Museum - offering a wonderful glimpse into the evolution of skiing statewide. Stowe offers outstanding outdoor activities, events and attractions year-round-making it a world-class vacation destination. In winter, enjoy skiing and riding at the Stowe Mountain Resort, the largest network of cross-country ski trails in the Northeast, snowshoeing, sleigh rides, ice skating, sled dog tours, snowmobile treks and more! In warmer months, hiking, biking, paddling, fishing, golfing and countless festivals, musical/theatrical performances and events, driving tours (including the legendary trip over Smuggler's Notch) may fill your days. Voted the #1 Family Vacation Destination in America by Good Morning America in 2004, Stowe is an exceptional choice as a family vacation destination. 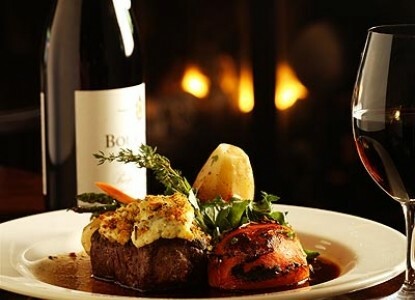 Choose from over 65 distinctive restaurants to add to your experience. 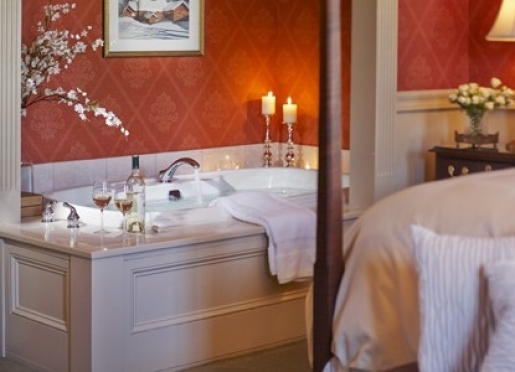 Stowe boasts two world-class Spas (the Inn's offers a rejuvenating Spa Package). 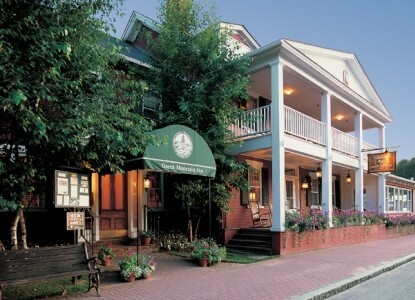 The Inn offers the perfect central location to embark on scenic and fun-filled day trips. Nearby are the famous Ben & Jerry's Ice Cream Factory, the Cabot Cheese Annex and Cold Hollow Cider Mill. Montpelier (the smallest capital city in the nation) is a 30-minute drive, and Burlington, offering a vibrant and picturesque waterfront area, scenic boat cruises on Lake Champlain, and the eclectic Church Street Marketplace, is just a 35-minute drive. The Vermont Teddy Bear Factory, Shelburne Museum and Shelburne Farms are a short distance from Burlington.